Thomas & Mercer, 9781503945548, 428pp. Meanwhile, a devastating trucking accident in Henshaw, Alabama, leaves a young family dead. Drake, now a fledgling lawyer, takes the case against the freight carrier and soon begins to uncover the truth behind the tragedy that is buried in a tangled web of arson, bribery, and greed. On the eve of the trial and with his case unraveling in the midst of a dangerous cover-up that threatens to silence his star witnesses, Drake realizes that only his estranged mentor, Professor McMurtrie, can help him now. With everything to lose and only justice to gain, will McMurtrie and Drake overcome bad blood to defeat a ruthless adversary? 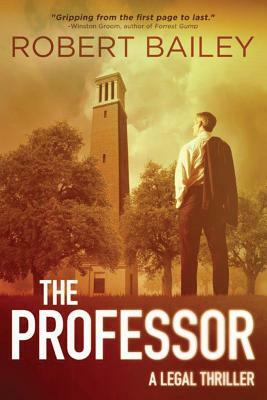 Can the Professor turn back the clock and recover all that he's lost? Mr. Bailey is a civil defense trial attorney. He represents health care providers and nursing homes in medical liability cases. He defends trucking companies, insurance carriers, the insured, and businesses in injury-related lawsuits. He defends employers in workers' compensation lawsuits and has defended employers in actions filed by employees under Title VII, the Age Discrimination in Employment Act, and the Americans With Disabilities Act. He has litigated matters in Alabama state trial courts, federal trial courts, and arbitration.